Our 'Building Strong Girls Week' prompted the entire Northwestern campus to fulfill our mission to continue to build strong women. In addition to a whiteboard campaign, our chapter organized donation drives & partnered with local Evanston businesses to hold a profit share benefitting Girls on the Run. The event reached 30,000 people on Facebook, as well as many students at Northwestern. 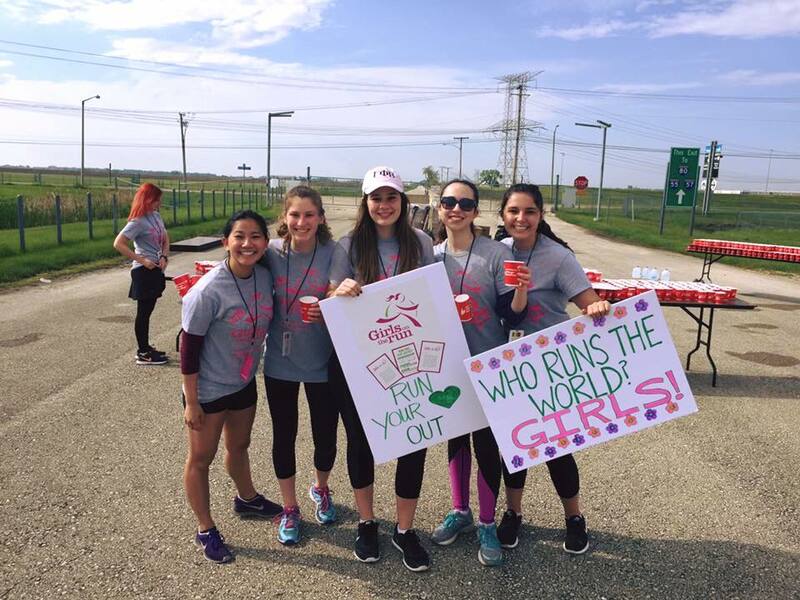 Twice a year, our sisters volunteer at local Girls on The Run 5K events. In addition to handing out medals and cheering on young girls, our chapter is helping nurture the confidence of the next generation of young women.